How can you better reward your top customers for their loyalty than with an extraordinary incentive trip to Andalucia ?! 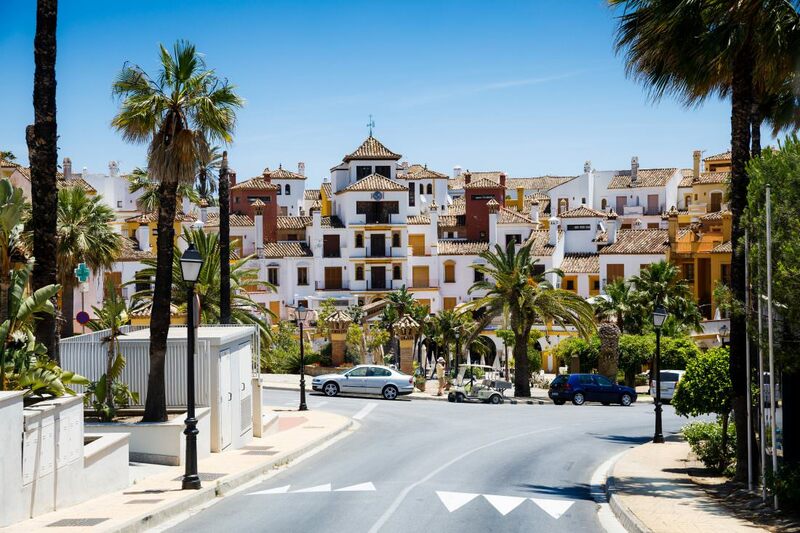 Together with one of our long-term customers we went to the south of Spain, directly to the “Costa del Sol”. 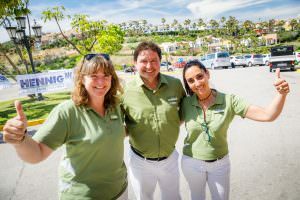 In conjunction with a one-year incentive, for which we created suitable teasers on a quarterly basis, the top customers were invited to an extraordinary event. From around 7 German airports the approximately 600 participants started their journey to Malaga, to which nice:-) from the first moment arranged a “carefree care”. Starting at the different airports special counters were rented, where the check in ran smoothly and without long queues. After a short travel time of about 3 hours, the Club Aldiana Alcaidesa welcomed the participants with refreshing cava and an icy glass of Cervesa. The complex is located in the south of Andalusia, just before Gibraltar, and was built in the style of an Andalusian village in the midst of a botanical garden. With this ambience he put the guests directly into a holiday feeling. 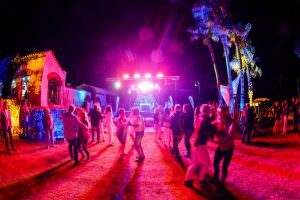 The special highlight was the exclusivity of the complex, the club was fully booked and thus 100% geared to the customer and the needs of the participants. For this purpose, the club was designed with an elaborate brand branding. Thus, the company logo and the event motto could be recognized on the entire site. The three days on site were peppered with various activities. Mountain Bike Tours, Gibraltar Excursions, Dolphin Safaris, Kayaking and Stand Paddling, Hiking in the Hinterlands, Shopping Tours to Marbella and a Drive to the White Villages …. Everyone could design their favorite program according to his own taste. The evenings were then reserved for the shared experiences, since they were arranged company-specific. 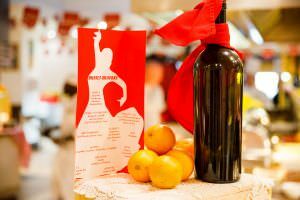 The first evening started classically as “Fiesta Espana” – with flamenco, sherry paella, cheese & red wine. On the second evening the neighborhood was used as a motto: on the oriental night the chef invited to a potpourri of Moroccan and North African specialties. On this topic, the show in the theater was based on this evening. Grand finale on the last evening, at a “White Night” Beach Party. 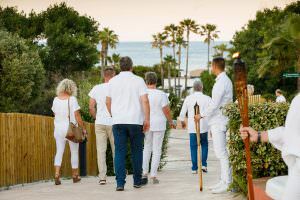 Torches illuminated the way to the beach where a white cocktail bar, a gin bar and an open air stage awaited the 600 participants. 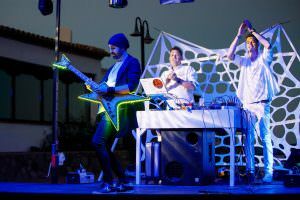 A duo from House Guitar & Violin opened the party by the sea with an extraordinary LED production. The for the season a little fresh evening temperatures were danced away. And as darkness fell, the starry sky shone over Andalusia. Grand finale: a fire juggling that led to the inflammation of the customer logo in 2-meter letters! At the same time, the guests lit the previously distributed sparklers, creating a very atmospheric sea of lights. A successful conclusion of an incentive trip with consistently happy participants and a satisfied customer – what more could you want!